Today I both show you a few new monsters, and introduce possible future game mechanics. CeF is thinking about introducing the Mega levels to Monster MMORPG. More information about the maga levels and their system will be coming soon by CeF. Tbh, my opinion on having the Mega-Evo here.. I think it should pertain to Zenith+ only. We already have introduced 4th Transformation Lines and the level cap is 120 now, that's pretty mega-tastic already. instead of adding more monsters and stuff introduce a new class and don't go full pokemon ona game which is it's own. 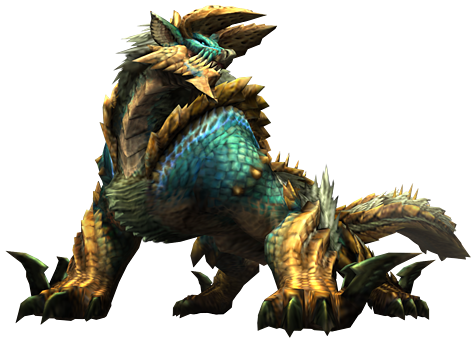 there is no reason to add megas to anything, for strong onsters we have ancients. i see absolutely no point for any mega evo in this game. I like the pictures, but like the others said, that is too much like pkmn for my taste. However, if this project goes forward i'd like the current photo of nighttheos to either be re-classed as an ancient or legend or not replaced at all. That is a very good picture and honestly shouldn't be taken out. (2015-02-02, 02:06 AM)SparrowHawk Wrote: I like these. Thank you Well, as far as I know it will be a Legendary+ thing, but that might change, according to the feedbacks. (2015-02-02, 02:18 AM)Galliant Wrote: Great artwort. (2015-02-02, 02:47 AM)ch17175 Wrote: I like the pictures, but like the others said, that is too much like pkmn for my taste. However, if this project goes forward i'd like the current photo of nighttheos to either be re-classed as an ancient or legend or not replaced at all. That is a very good picture and honestly shouldn't be taken out. Some could argue that Nightheos has it's unique parts but the pose and some details are just exact the same. Being an Artist myself, I am very picky with plagiarism, and this work is too shady for me. I personally recommended CeF not to use it in the game any further. People were sued for less in the past. But of course the final decision is up to him. If we could make those pics happen, it would be awesome. BUT my major concern are the movesets and the stuff people donated for that might get deleted/thrown away. I do agree with Galliant. One of the first goals of this game were to incorporate 10,000+ monsters haha. Why have mega evos if we can make even stronger monsters? As I said before, there are already 4th evo lines. We can always include a psuedo class between Emissary and Zenith that could include 4th stage transformations to rival a Zenith on equal terms. A new class stronger than Ancients? More classes overall. I'd say about 3 more for a while. And as for the money, in PokePets, there is no donation. Here, this is donation and money in the game here has a lot of coverage. It's not easy gaining 200,000,000 gold and it certainly isn't easy achieving 2,000,000,000 gold. The game still has to expand a lot more. If there was a vote on this, I'd say no to "megas". If they were added, referring back to my previous post, anything considered "mega" should pertain only to Zenith and Legendary class. Ancients don't need a power boost. We need something that hunts Ancients. I totally agree with this.Theres no need to give"mega" evos .If anything it would probably be a better idea for cefurkan to try to hold events such as Tournaments himself.Giving away monsters that cant be caught or donated for.We need things that draw more attention not just higher stats. (2015-02-07, 01:01 AM)Snorlax47 Wrote: I totally agree with this.Theres no need to give"mega" evos .If anything it would probably be a better idea for cefurkan to try to hold events such as Tournaments himself.Giving away monsters that cant be caught or donated for.We need things that draw more attention not just higher stats. I like the bolded text here. Hidden monsters in a secret archive that are specifically for giving out only. Not everyone has it, not everyone can buy it. That'd be interesting. Tbh, i dislike the idea of event exclusive monsters. A game should always be set up so, that everyone can get everything. There are Billions of ways to make the game more interesting. And this game simply has no need for a Mega-kind state. If i want Mega-Evos or Digitations, i go for the fitting games. With the current Mechanics, natures, Abilities etc., this game should improve to become unique, not to include as many other game features as possible. Also i would love the New Nighteos design, it fits to the other 3 dragons, which i already wrote "descriptions" for and so it would be easier for the eye aswell to see that those 4 match together. But i'm 120% with Ch on that, the current artwork of nighteos is just amazing, but instead of making it another monster class, it should either be simply renamed, or the new one should be. So another pointless change nobody asked for ? I really, really, really hope you don't make any mega evolutions for Ancients. That would make me very unhappy. That said zenith megas would be cool. So would some legend megas. Also the Nightheos design was discussed before, the art was inspired by that, but there are many differences, but i will not get into it since it has been discussed before. I just wish to thank you for that decision, just don't op legendaries so ancients loose value..